Doing things differently: Salt makes recruitment more "approachable"
Salt is an award-winning digital recruitment consultancy. It helps clients from startups to global powerhouses to find specialist talent and cut through a crowded digital marketplace. The consultancy specialises in placing professionals into permanent and contract roles in the creative, marketing, technical and sales disciplines of the digital ecosystem. Founded in 2009, the business has expanded to eight offices and over 150 employees worldwide, including EMEA, APAC and the US. The launch of Salt’s new website is designed to support the growth of this global business. It comes as a result of the merger between Salt Group in the UK and Font and Sodium in APAC, all forming under the Salt name. 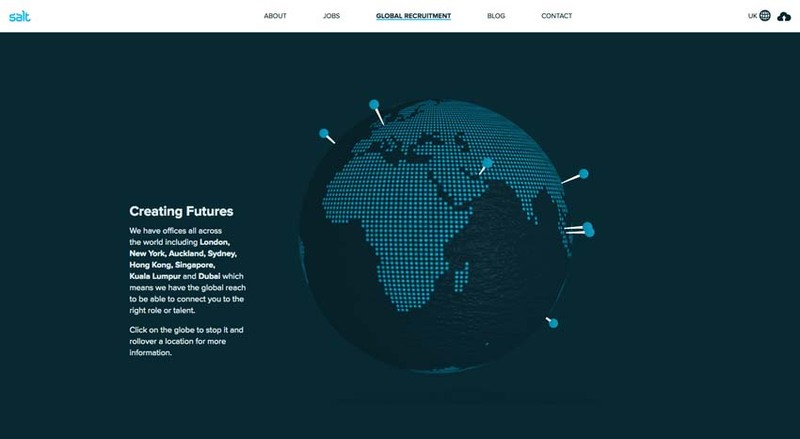 "Our new website has been simplified to make the user experience even more seamless and efficient, as well as making the whole recruitment process more approachable to every client", explains Gareth Saunders, global marketing director of Salt. The merger between Salt UK and its global subsidiaries meant the website needed to support the other regions both with the content and the design. Websites for the APAC, UAE and US regions will be rolled out later this year. Salt teamed up with creative agency, Huddle, to build and implement the site. 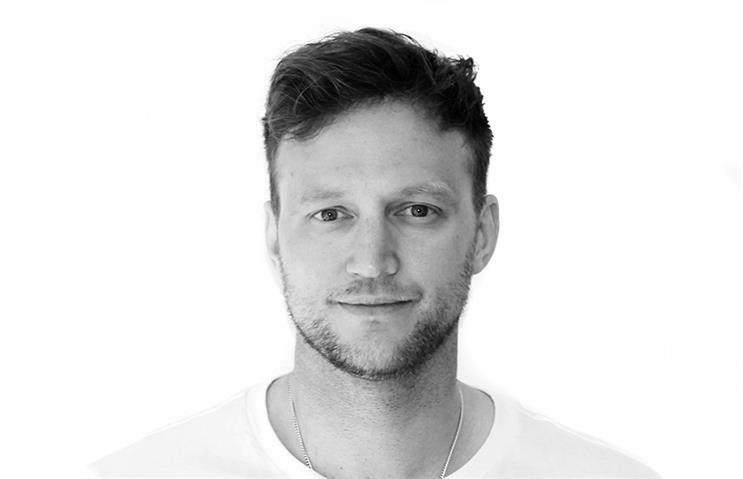 Danny Somekh, brand and digital strategy director at Huddle, said about the project: "Salt needed a functional recruitment website that also reflected their unique personality. Our approach was to strip things back to allow job seekers to quickly find appropriate positions and just as importantly communicate Salt’s creative style through a strong typographic-led design and colloquial tone of voice. "The key to success for this project was to work closely with Salt as an extended part of their team - not merely as suppliers - so we could amalgamate their deep knowledge of the recruitment market with our experience of branding, UX and interaction design." The site has been designed to engage with Salt’s entire diverse target demographic and streamline the hiring process taking you through step by step whether you are looking to fill a single position or an entire department. It doesn’t resemble your average recruitment site which tend to focus on the transaction between finding a job and applying. The Salt site is image heavy and aims to give the user a more unique engaging experience to emphasise the Salt values. Saunders continued: "We sought to create a website that spoke to the audience not only through the tone but also through a simple UX. We know that our clients and candidates want a recruitment process that is as seamless as possible and we aimed to create that but with a sense of creativity too. "Always having the user in mind throughout the project was essential in order to create a website that is clean and simple, where you can visit the site and apply for a job within a few clicks. We always seek to do things a bit differently which is why working with Huddle was a clear choice, having not worked on a recruitment site before they could come in with a completely fresh perspective." Check out Salt’s new website here.